The question hit me by surprise as I was walking around the duty free area at the airport. Normally, I’m not a person who likes to be sold something to and I’m not into beauty products either, but I had some time until boarding and the guy just looked too friendly, so I agreed. I expected him to tell me about some fancy new product which would make my life so much better. I expected him to sell me something I’d regret later on. I didn’t expect what happened next. He brushed my hair and started to straighten it. I am too lazy to do it most of the time, so I really enjoyed this extra service. He asked me where I was going and what my life was like. We chatted about big city life and international food and how different people were. We exchanged the best advice on where to travel next. He told me that he was from Bulgaria and how he had left his home country to start a career as a styling artist in New York City. And how he had ended up in a small place like Stuttgart. He admitted that he really struggled to connect with the always fast-paced, efficient and often brisk Germans. We did not talk one word about beauty products or sales. It doesn’t take much to change someone’s day for the better. Little gestures, a few words – that’s all it takes to make someone feel welcome. You’re no longer a stranger. You belong. What If Christmas Was Different? There I was in the middle of the Christmas market. Lights were shining brightly around the square, from a distance I could hear some kids playing Christmas songs. As I took a deep breath I inhaled the smell of mulled wine, bratwurst and roasted nuts. I had just come out of a department store where I had braved my way through crowded aisles and stressed out shoppers. Since Christmas is almost here, I couldn’t put it off any longer, I had to buy some presents eventually. In case you didn’t know, I’m not the biggest fan of shopping. Especially around Christmas time. The shops are crowded, people are unnerved and everyone is stressed out. Christmas seems to be about brighter lights and bigger presents and more, more, more. There he was in the middle of a simple, cold barn. The savior of the world had just been born, a baby into completely unprepared surroundings. Instead of a majestic palace he chose a stable. Instead of sterile cleanliness, he came into dirt, simplicity and helplessness. Instead of hundreds of visitors and big announcements, he invited the neglected shepherds to meet him first. Sometimes I’d like to have been in that stable that night. I imagine it to have been peaceful. The message of Christmas is so very different from the distorted version we’re bombarded with all around us. It’s about less than more. It’s about unpreparedness than perfection. It’s about peace than noise. It’s about God coming to break through our illusions, expectations, hindrances. What a gift this is. May you enjoy it this Christmas. One last Five Minute Friday this year. See you in 2018! 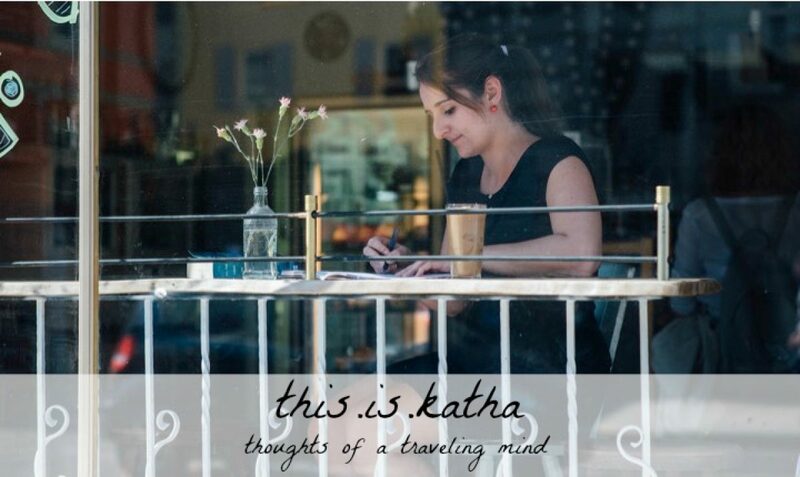 Author Katha von DessienPosted on December 15, 2017 December 16, 2017 Categories Advent, English Only, Faith, Five Minute Friday, Germany, SabbathTags Christmas, Gift, rest4 Comments on What If Christmas Was Different? I know it’s not such a big deal in the US, but in Germany this Sunday is an important day. It marks the official beginning of the Christmas season, the official allowance to put up twinkle lights, light candles, listen to Christmas songs and bake ginger bread cookies. Celebrate because the Lord has come near. What do you this advent? As I walk through the streets where Christmas markets are setting up their stalls and hundreds of people push their way through the narrow alleys this week, I have to wonder if the Lord is really near. We are so busy planning and preparing and buying that we can get all wrapped up our own little Christmas world. That universe of presents and cookies and songs. These are all good and valuable traditions, but I’m afraid sometimes that they actually push the Lord as far away from Christmas as possible. Advent is our thing, our to do lists and our preparation – and then the Lord can come. But what if he wants to be near right now? What if we saw him again in the middle of a crowded Christmas market or across the table at some Christmas party? What if he began to speak through the fog of bad Christmas music and holiday chatter? As much as I dread the next few very busy weeks, I want to remind my soul that the Lord is near. Advent is his thing, his gift to me – and I want to look out for it. A quick note to the German speakers: Starting tomorrow, I will host a small Advent journey with texts and questions to ponder in this season. If you want to join, click here. Early on Friday mornings I look for the Five Minute Friday prompt on Kate’s website and many times, I find a story to tell, a thought to share. Lately this has become really difficult for me. My life seems plain, my schedules busy and boring, my experiences ordinary. Every day is the same, everything is just too familiar, so what’s the point in sharing? On Thursday I gathered friends around the table to celebrate Thanksgiving. The table was full with good food, wine and laughter. When we had stuffed our bellies, we filled our souls and shared what we’re thankful for this year. Stories of recovery and health. Stories of birth and new life. Stories of perfect timing and success. Stories of people who enrich our lives in unexpected ways. Stories of the many little gifts we tend to overlook in our lives. Sometimes the people and things in our lives become so familiar that we don’t even recognise them anymore. Naming our gifts and listening to each other does something to us: We become aware of the magic that is all around us, the blessings that are in the ordinary. I’m grateful for nights like these around my table when others remind me that no day is the same and no life is taken for granted and every gift is unique and worthy to be acknowledged and appreciated. I’m also grateful for inspiring people who tell their stories online. Here’s Ruthie’s story I listened to yesterday, if you’re interested. Let me tell you a secret about Germans: They are very private people. It takes a long time until they move away from superficial topics like the weather and actually share something about themselves. It takes even longer for them to invite you into their homes. For someone who has lived in cultures famous for their hospitality, this is sometimes a little unnerving. Gathering friends and strangers around a table, enjoying great food and inspiring conversations. Showing and giving something from myself, hoping that it would empower others to do the same. Watching how an invisible bond is formed between us and we all leave a little different from the way we came. When we invite others into our space, we do more than offer a chair and some food. We open our hearts and allow someone to see a bit more of ourselves. They see where and how we live, which tells them a little bit more of who we are. In a society that takes so much pride in individuality, we have somehow lost touch with each other. We all want our independence while we discover a deep longing for community and a sense of belonging. This cannot happen overnight, but it starts with one invite, one open house, one open heart. Who can you invite into your house and life this week?